Housing affordability and availability issues have taken the national spotlight in recent years, with Malaysians across the board facing property ownership challenges due to demand-supply mismatches as well as skyrocketing property prices. However, how many developers have actually taken steps towards adjusting their launch prices and assisting purchasers with financing issues? Thankfully, in Malaysia, this number is quite high, with industry players such as Eco World Development Group Bhd leading the way in offering innovative financing solutions. Most recently, EcoWorld launched its Home Ownership Programme with EcoWorld (HOPE) campaign on 22 January, following in the footsteps of its successful Help2Own (H2O) and #OnlyEcoWorld campaigns last year. Unlike crowdfunding platforms such as FundMyHome, HOPE applies to a wide range of EcoWorld projects, opening it up to more home seekers. 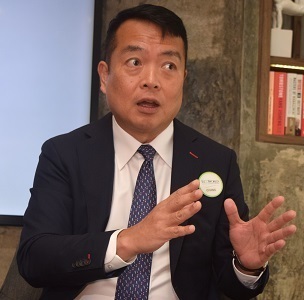 “We were delighted at the response to #OnlyEcoWorld, but we also realised that there were some people, especially millennials, we had not been able to help with H2O,” says EcoWorld Malaysia president & CEO Datuk Chang Kim Wah. There were many purchasers H20 couldn’t help, says Chang. Chang’s team has partnered with Malayan Banking Bhd (Maybank) to address the key financial issues faced by these prospective purchasers – namely, lack of savings for a down payment and credit profiles too weak to obtain mortgages from banks. EcoWorld previously collaborated with Maybank during its H20 campaign, which the bank supported with its MaxiHome Ezy mortgage solutions. For HOPE, the developer has launched Stay2Own (S20), in partnership with Maybank HouzKEY, the bank’s rent-to-own (RTO) initiative. 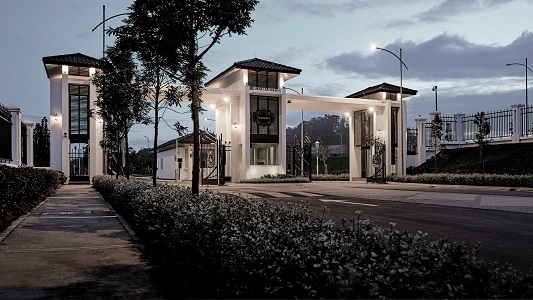 The programme is open to a range of EcoWorld projects, such as Eco Majestic in Semenyih. Under S20, Maybank helps home seekers by first purchasing a property then leasing it to programme participants. The programme is open to first-time purchasers as well those with no more than one housing loan. S2O features numerous benefits, such as a low initial cost of three months’ rental deposit, as well as monthly payments comparable to prevailing market rental rates. In addition, participants can immediately occupy properties prior to purchase, while benefiting from a savings element where 30% of rental paid can be saved if a property is purchased, with savings going towards the purchase price. Finally, S20 offers flexibility and security in purchasing, as the price of the property is “locked in" at the present date, avoiding future increase from capital appreciation. Home seekers can choose to purchase the property from the end of the first year of occupation to the end of the fifth year, and can also switch to conventional mortgages if they want. EcoWorld partnered with Maybank’s HouzKEY programme to introduce HOPE. 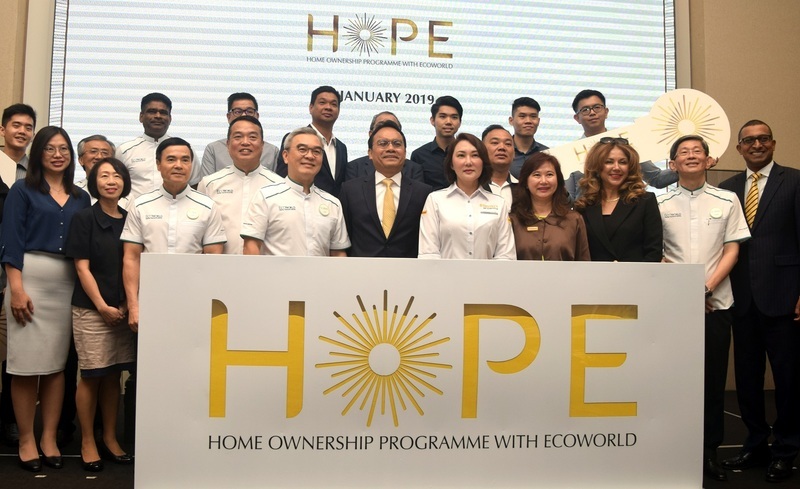 Running until 30 June 2019, HOPE also includes EcoWorld’s H20 programme, allowing home seekers to choose from two options to finance their home purchases and catering for two different market segments. To date, 200 units have been reserved under HOPE. Through the programme, the developer hopes to duplicate the success of H20, which assisted more than 1,781 home seekers in purchasing EcoWorld properties up to its conclusion on 31 October 2018. 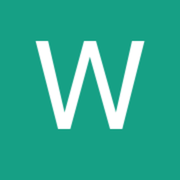 For purchasers keen on participating EcoWorld projects, why not drop by PropSocial’s listings pages to review and compare the developer’s properties?